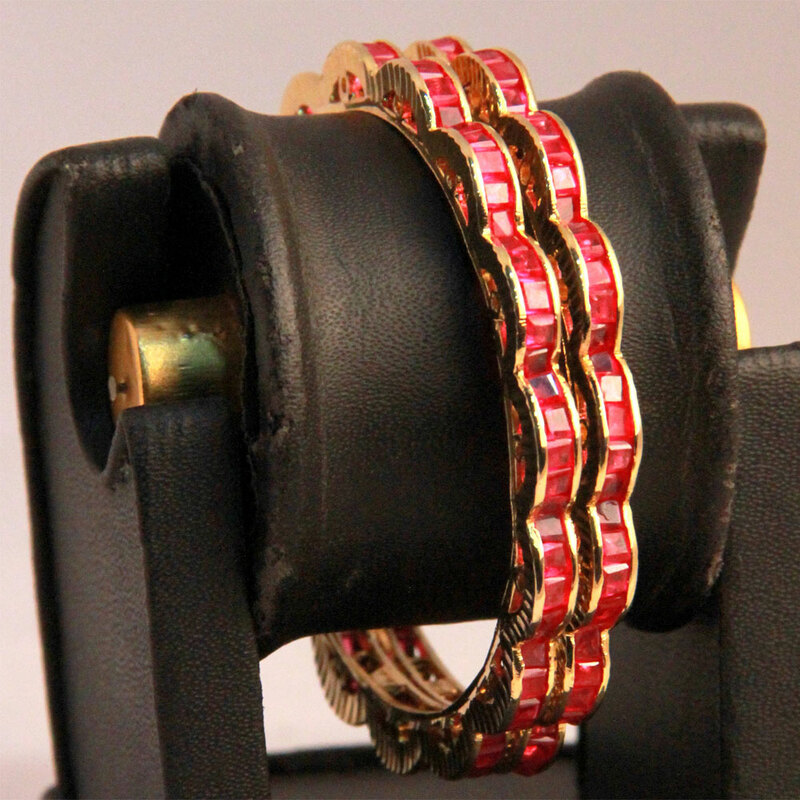 The plain circular base of this combine of bangles has been crafted from gold plated brass metal. 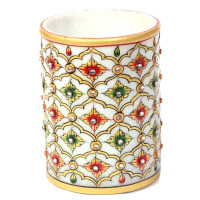 The plain circular base of this pair of bangles has been crafted from gold plated brass metal. 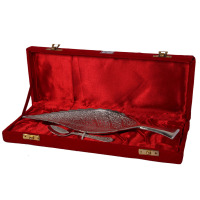 Attached over the top of this base is Read More..a wavy framework crafted from the same metal and studded with beautiful red AD stones which make the pair truly magnificent and appealing. Show Less.. The fine beads work adds to the dazzle and beauty of this mesmerizing symbol of artistry. The fantastically embellished spoon and also the swish red velvet packing complete the exquisite look.